WPS1 - Wide input voltage range Power Supply, 24V to 600V Input range, 5W, 24VDC output. WPS1 is a DC to DC down converter designed to accept wide range of input volts, making it ideal power supply for contactor coils, solenoids or solar panels. 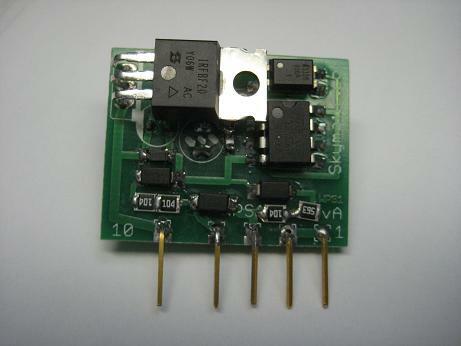 Pinout is compatible with Panasonic EHDRD3363 DC-DC converter. Skymatic Ground Fault Relays, manufactured for major electrical OEMs have been installed in large numbers throughout Canada, the U.S.A and overseas, protecting valuable electrical equipment from Nuclear Generating Plants to Gas Pipelines, etc.